This ANSI Warning label gives simple precautions when working with, or near electricity that can significantly reduce the risk of electrical injury or death. 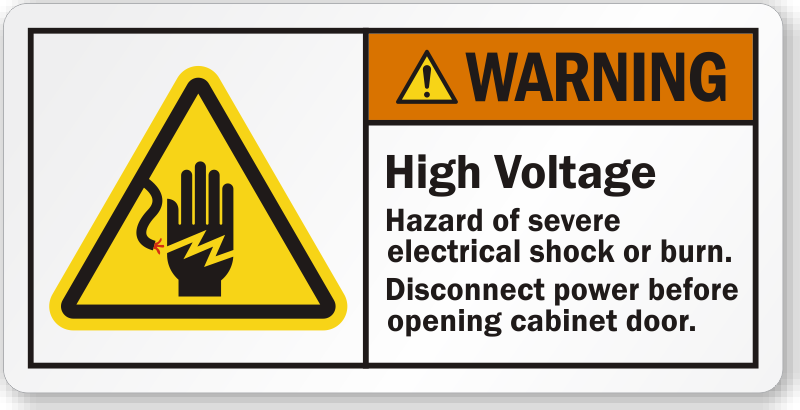 Use our ANSI Warning Label to warn workers against high voltage. Easy ordering process, quick delivery, good notifications.